"Billy Horschel appears to be in great shape right now, thanks to four podiums in his most recent eight starts." The PGA Tour begins its traditional three-week autumn Asian Swing, with a trip to Malaysia for the CIMB Classic. For a fifth straight year, the tournament is being staged at the stunning TPC Kuala Lumpur, which is located around five miles west of the city centre. Since the pros were last here, the West course has undergone an upgrade, which took 10 months to complete ahead of its re-opening at the end of August. According to Steven Thielke, CEO of TPC Kuala Lumpur, "The project focused on providing improved playing surfaces by changing the turf on the course." The greens have been laid with TifEagle Bermuda grass, while Celebration Bermuda has been used on the fairways. Previously, the greens were seeded with Sea Isle Supreme, with Seashore Paspalum covering the fairways. The revamped surfaces will resemble those used at TPC Sawgrass and Thielke added: "The new fairways will have more run, and the new green surrounds can be mown short to provide run-off areas to allow for a variety of recovery shots to be played on a firmer playing surface." The resort, which was formerly called Kuala Lumpur Golf & Country Club, has also been the venue for numerous European Tour events. Opened 27 years ago, TPC Kuala Lumpur is an undulating, lush parkland course with water hazards on 13 holes. The star attraction this week is American Justin Thomas, a two-time winner of the tournament. The world No 4 claimed back-to-back titles in Kuala Lumpur in 2015 and 2016, before finishing in a tie-for-17th when chasing a hat-trick of wins 12 months ago. And fresh from Europe's victory at the Ryder Cup, the feel-good factor should still be flowing through the veins of Paul Casey. The Englishman, who tied-seventh in Malaysia last year, has improved with each visit to the CIMB Classic - he's also won twice in co-sanctioned European Tour events in Asia. With 60 of the 78 competitors qualifying via the PGA Tour, the American presence should be strong. 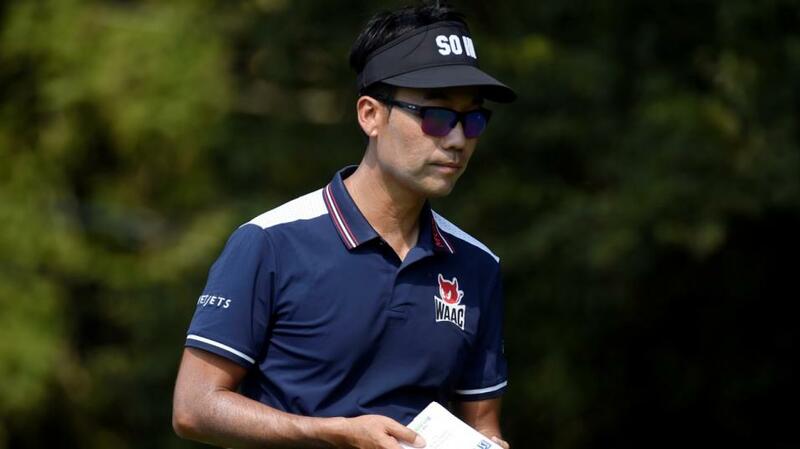 The 35-year-old Kevin Na, who was born in South Korea before moving to the United States at the age of eight, holds dual nationality and should feel at home this week. His first professional victory came in Malaysia as long ago as 2002, when he won the Volvo Masters of Asia while still a teenager. Recent PGA Tour winner Keegan Bradley was runner-up 12 months ago, while Aussie Cameron Smith enjoyed a brace of podium finishes during the end-of-season FedEx Cup Play-Offs. He was also fifth at TPC Kuala Lumpur in 2017 and is currently ranked a career-high 32nd in the world. Billy Horschel appears to be in great shape right now, thanks to four podiums in his most recent eight starts while fellow American Ryan Moore - a two-time winner in Malaysia - lost a play-off in California on Sunday. Rafa Cabrera-Bello has posted successive T-10s at this course, where first reserve Anirban Lahiri is a former champion. The Indian golfer, whose most recent two trips here have yielded top-10 finishes, won the Malaysian Open in 2015 when it was co-sanctioned by the Asian and European Tours. A number of in-form Asian Tour stars are in action this week. They include South African Justin Harding, Sang Hyun Park of South Korea, Zimbabwean Scott Vincent and American John Catlin.